43 Things We Don’t Like To Hear As People Affected By Our Parents Drinking. – Being a COA is a thing! 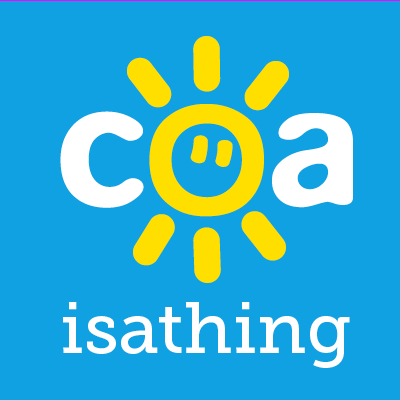 This post has been written by the people of our coaisathing Facebook group and is a list of some things we have had said to us that we would rather not have. Most are supported with an explanation as to why. Of course, not all are true for all of us but i think that, like anyone else, we just want to feel heard and our feelings to be validated. The dread I felt growing up in between his drinking bouts was equally as damaging as when he was on a bender. I grew up in fear, and now it’s my default position. I don’t talk about my dad because I didn’t like him at all and this comes through , the only reaction i ever get from that is , that they pity my dad!! Back to your list , which is a great idea. ‘What doesn’t kill you makes you stronger’. ‘You cant move on until you forgive’. ‘You only get one mum/dad’. No one ever says anything like that. I haven’t seen my mother in 19 years and recently was told that she is dying. If one person says to me I should go visit ‘because she is my mother’ they will be very swiftly put in their place! People who had normal, supportive and loving parents have no idea. Because they are still my mum & Dad & I still love them & walking away from them to preserve my own sanity was one of the hardest things I ever had to do but it didn’t stop me loving them or aching every day knowing that they are in pain & not looking after themselves and now I might have to decide whether I see them or not before they die & all the things that brings with it. My own family said this a lot…..This is a bad one as its often what we will say to ourselves, no one should ever say this to anyone else. Yes, if they wanted to but they don’t, I don’t need reminding that my dad would rather drink than be sober for himself & his family. Yes, I know it’s an illness but just let me vent, it’s an illness like no other.. it rips families apart & damages the health of everyone around them…. You’re right, it could only be someone that’s really sick that would put alcohol above their flesh and blood. This one doesn’t really need explaining but I hate it as it’s just a reminder that it’s a possibility, that I have a higher risk. This one is normally asked by people who don’t know me that well and I’m not going to delve into my inner most feelings with you. Breaking my silence to talk and being met with that statement just reinforces the belief that I shouldn’t speak about what happened and that it’s me that is faulty. I have an odd relationship with alcohol based on my past so if I don’t want to drink it’s based on things you just don’t know or understand. Anything fun was usually followed by something bad. A row between mum and dad or me hiding behind the curtain so he couldn’t find me. So I stopped relaxing and being myself. And stopped doing anything that might mean I enjoy myself. If I do anything that is meant to be fun then I control as much of that experience as I can so I know what’s coming. 14) ‘Well if it was my mum I would do.. (Insert silly suggestion)’. 15) ‘It’s weak people who can’t give up alcohol’. This made me feel ashamed and guilty to open up to someone. No.. no you’re not, don’t even joke about it.. I had plenty of materialistic things…but a child needs love,stability and safety. I don’t understand that. What I understand is that she chose drink over her family and, as a result, I’ve developed a heavy load of demons and unanswered questions that, more than often, overwhelm me, make me fearful of other people and rob me of happiness, trust, love, relationships, etc. You don’t see that because I don’t show it, it doesn’t mean that it’s not a battle just to get through most days and nights. Yes she might have been there in physical form as the person who gave birth to me, but she was never a ‘mum’ in any other sense of the word. It was this kind of instruction to ‘be grateful’ that fed into my inability to walk away which, in hindsight, is exactly what I should have done. Really?! Did being hospitalised at least once a year for 8 years not give it away? The wine flowing no matter what time of day or night wasn’t a clue? Her refusing to eat anything so as not to dilute the effects of the drink didn’t give it away? Not one of the times I could bring myself to say that I was scared, that she and I needed help, wasn’t a hint? The fact that your 33-year-old daughter still lives at home, is too scared to go out of the house, has never had a job, stays upstairs if there’s a family gathering going on, doesn’t indicate that actually she’s affected a whole lot?! It really pushes my buttons that people are this arrogant. I guess they are just trying to make me feel better but the anxiety of a COA/ adult COA is a whole other level. I’d prefer it if they looked up COA and didn’t try to relate or make me feel ‘normal’. My anxiety is off the scale man. Said by my therapist. NOT helpful. Oh great, how every helpful of you to tell me that. What do you expect me to do about that? I know he’s drunk, he’s an alcoholic that’s what they do. This does not make it ANY BETTER, he’s always at home.. therefore I have to see him hammered, hear him sobbing, hear him drunk singing to sad songs & then hear him being sick. Don’t they realise that I am so hard on myself already about my not being over it? And I don’t need anyone to point out how weak I am for letting the past affect my future, as I already do that to myself every day. COAs often have mental health problems, telling them they should ‘get over it’ is not helpful, and the past is not in the past in the case of a COA with for example complex PTSD, the past is very much in their present, that’s the point. More helpful I think would be to tell them how strong they are. It’s basically going “you had it bad but not THAT bad” and it’s like ok my mum did look after to an extent she did always make sure I was tidy, kept me fed, never let anyone take me away and made sure I went to school but does that justify the emotional abuse? The blackmail? The stealing? The threats? The fact she got arrested in front of me for drink driving ? No it doesn’t. I just hate when people think because you didn’t have the worst of the worst that your situation isn’t something you can be affected by. 32) ‘Oh well she isn’t drinking as much now’. After Mam developed alcoholic dementia some people said ‘oh well she isn’t drinking as much now’. No because she had little short-term memory and numerous health problems all caused by drinking. She came home the shell of person before so that was very hard for us. Part of my very recent journey has taught me not to compare my own hurt to others, even though it could be worse or there are plenty of people worse off than you, your right to grieve and hurt is still justified, sometimes you just have to “do you”. The attitude of my friends and family towards my situation has led me to keep quiet, internalise and ultimately beat myself up for ever feeling low, dwelling on the past or failing at something that ultimately has been directly influenced by my past. Spend your whole life sweeping it under the carpet because it pales in significance to ‘what could have happened’ and you end up in the mess I am in now. I can’t stand this. Both my parents died from alcoholism but yes I drink occasionally. I know the warning signs and it’s my choice to live my life how I choose. I know they meant well but………..blow me I didn’t know alcohol could jump from a bottle down my Mother’s neck, surely that would be a contender for an illusion act on Britain’s got talent of it were true. Sometimes I wish I could let go more, but recently I’ve realised how strong the connection is between me only having one drink and my mums drinking. It may not always be aimed at my mum but I know sometimes it is, as if my mum deserved to die more as it was self-inflicted. I actually prefer it when people acknowledge that alcoholism is an illness and was out of her control. Yes that’s true, but nothing can replace the bond I had with my own mum, and no matter how toxic I’ll still always miss the mum she could have been. People who told me not to get cross with my mum when she drank whilst out, to them she’s really funny. Reality is she was normally pissed before she left the house & I would have to pick her up off the floor later on, whilst others left me to it. Because she was my Mum, i was then left to sort her out! People happy to get drunk with her and then leave her in a state after. People who would see my mum out and about and tell me the next day that they saw her drunk, she smelled of alcohol, she looked in a state,,, how the chuff do you react to that! You have trusted someone and told them everything … and they use it against you .. . Kick you so hard while your down.. but you have so little respect for yourself .. you start to believe it. It was like they didn’t believe me things were really bad at home.. .even though i had tried to tell them i really wanted to move out..but couldnt till me sisters had moved out and weren’t going to have to like deal with dad by themselves. Previous Post I Was Brave. My main goal in life is to bring awareness to a wider range of people about Child Abuse. I have been through abuse in the past, and though it was no where near as bad as some of the story’s I hear today it still took it’s toll on my life. And I know children and adults alike continue to be abused and fear every waking moment. Abuse hit’s us all in different way’s, some of us retreat inside ourselfs while other’s take the war outside them and release it onto other’s & continue the cycle on. We cant save everyone, but we can save some if we open our eye’s to the sign’s, if we stand up and speak out about it. Thank you for the time you spent reading this, I hope you too can speak up and save other’s from the torment.